Now in its fourth week, we have rolled out a new daily vegan specials menu, primarily comprised of falafel, Thai curry, hand pies, soups and salads, and tamales. The street reaction has been good - no longer do our customers have to wait till Friday for Matt's great falafel. Our sous-chef Katya wrote up a little piece on what it's been like to roll out the menu. I feel fortunate to have joined the Ninth Street Bakery vegan kitchen team right as we started the new lunch menu. 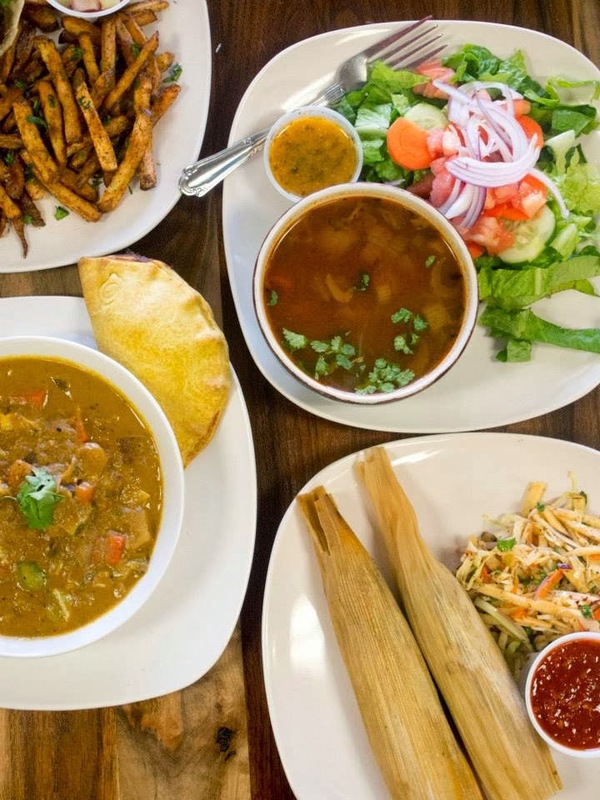 The more yummy vegan food we can serve to the kind folks of Durham on a daily basis, the better. And while it can occasionally be challenging for just two people to juggle the production and serving of the full lunch menu every day, we’re looking to add new items to it. For now, we’re having a good time wrapping tamales and making fresh, homemade batches of Panang curry paste on a regular basis. At the risk of stereotyping myself, I have to admit that falafel and hummus are foods that I take very seriously. I grew up with my Mom making the best falafel and hummus in central New York, and went for a stretch of time in Israel during which that was almost all I ate. After realizing how hard it can be to find good hummus in the South (the struggle is real), I was nervous to try any here. Thankfully, Matt knows what he’s doing: I’m confident that even my mother and the street vendors back in Israel would approve of his recipe and execution. Pro Tip: You know that little cup of tomato/cucumber salad we give you on the side? 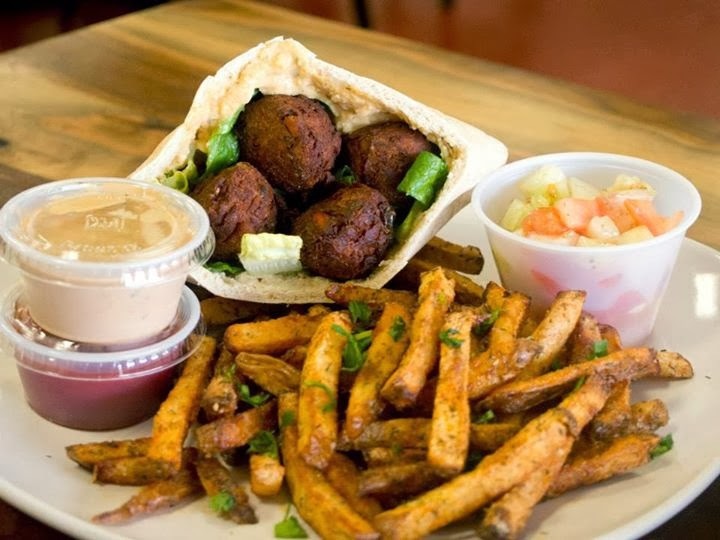 Add that (and, if you’re adventurous, some French fries) into your falafel along with the tahini dressing.